We’ve been busy in the YMDITD camp. We are working on a batch of new songs that we are super excited about and we think you will be too. This spring we will record a few of those songs for a 7 inch release. Yay! We are still working out all of the details, but definitely looking for a release this year. We have some other fun stuff in the works we think you’ll be excited about too. Just wanted to update everyone on what we have been doing as of late. Currently we are working hard on our new material for this brand new album we are writing. We have been writing some of our best work to date. The new songs are powerful, emotional and full of energy. We have been planning new tours, new merch and really focusing on getting back out there and playing a ton of shows. There are a few companies we are proud to endorsed by: Walrus Audio, and Rattlesnake Cables. Please go check them out! 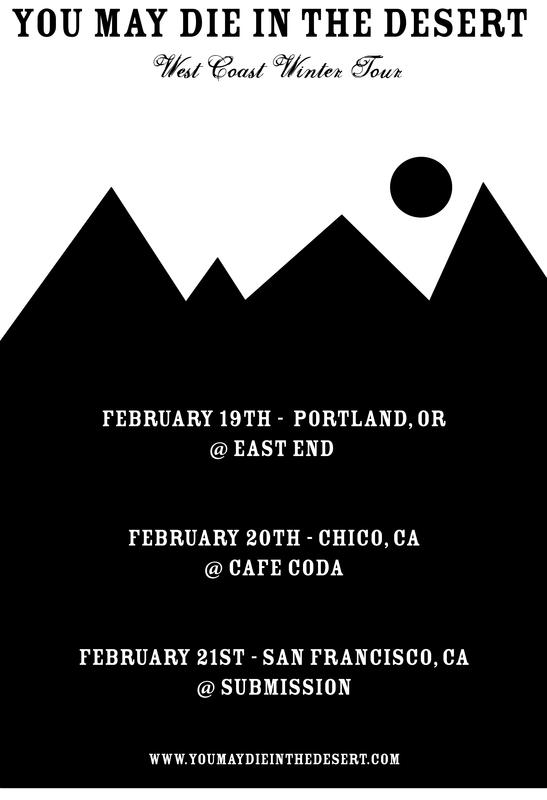 12/15/16: @LOFI (seattle,wa) w/ Coastlands and guests. As always, Thank you all for your support. It sincerely means the world to us.